What are Dual Language Programs and Why are They so Popular? Dual language programs are experiencing a surge in popularity, as educators find that the programs are extremely effective for both those learning English and for those who are already fluent in English. Dual language programs educate children in two languages. Typically in the United States this means that half of the lessons are taught in English and the other half are taught in Spanish, though everything from Korean to Arabic has been used as a partner language. Dual language programs generally start at kindergarten level and continue through elementary school for at least five years. They include a mix of English language learners and fluent English speakers in the classroom, and aim for bilingualism alongside academic achievement equal to that of a single language school. As well as nurturing academic achievement, dual language programs have been found to foster positive cross-cultural attitudes, and a greater sense of community amongst students and even parents. Parents who are not fluent in English tend to show greater involvement at school when their child is enrolled in a dual language program when compared to an English-only immersion program. From just a couple of hundred dual language programs fourteen years ago, the numbers have increased dramatically and now there are over two thousand schools using dual language programs in the States. In part, the increase in popularity is due to parents wanting their children to learn Spanish. Parents, business leaders and educators all agree that bilingualism will give our children more opportunities in the future. Critics have pointed out that whilst running a dual language program can be cost effective, making the transition from a traditional single language approach to a dual language program is expensive. Grants are available for this kind of innovation, but schools must show that they will put the money to good use. There has also been some concern that this system causes English language learners to be roped in as Spanish tutors, whilst that their attempt to learn English suffers. However, the evidence does not support this view. In fact, English language learners often thrive in dual language programs, and reports show that there is less of an achievement gap between English speakers and English learners in this kind of program.. Working with both English and a partner language allows English language learners to become fluent in English and still preserve their cultural heritage. What Does This Mean for Traditional Language Lessons? The rise of dual language programs shows that the demand for bilingualism in our children is growing. Parents want their children to know two languages and are prepared to take steps to make this a reality, whether that means taking them to Spanish lessons for kids in DC, or enrolling them in a dual language program. Dual language programs are increasing in popularity and so far they have been unable to match the overall demand, with some teachers reporting over a hundred new applicants per class. Dual language programs and Spanish classes for kids in DC are an excellent supplement for one another, and should be viewed as two intertwining routes to the same goal. Would you like your child to be bilingual? There’s no time like the present to start learning a new language! 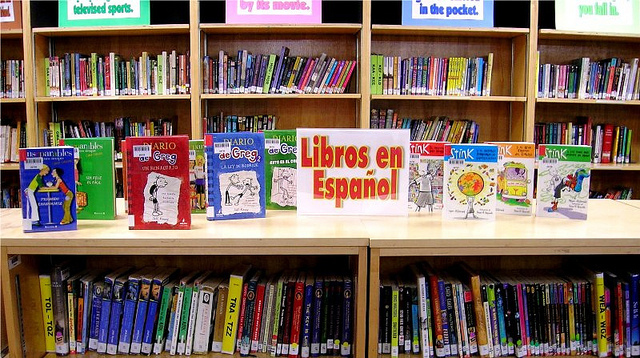 Check out our Spanish classes developed specially for children and teens in DC.